If you’re going to Broadbeach on the Gold Coast you’ll no doubt catch a glimpse of Air. 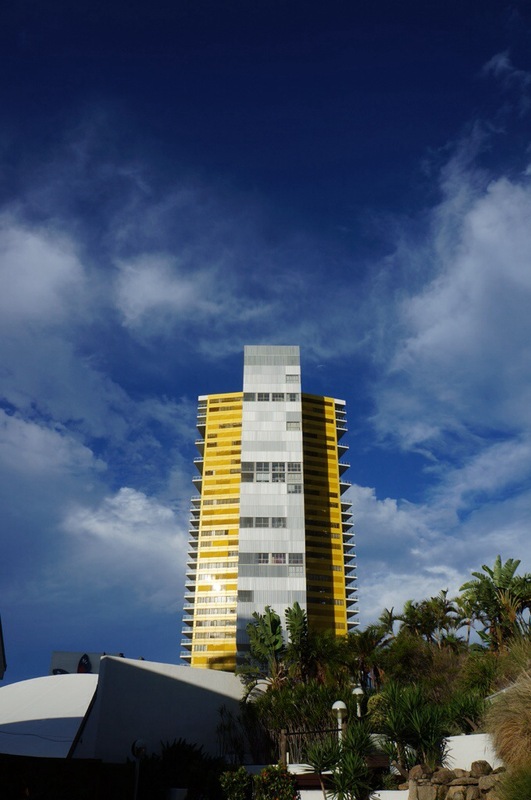 This 37 storey residential tower was designed by Australian based architect, Ian Moore. I particularly like the bold yellow colour on the back of the building contrasted against the blue sky. Love all the windows…..the yellow is pretty against the blue sky. Interesting building. Shall check out the layouts. Married to an architect, who is into lots of windows whenever possible. The whole back of our house consists of walls of tall windows looking out into woods and a lake. I have become very spoiled. I grew up in an urban area in a ten story apartment building that looked out at parking lots. Thought I’d died and gone to heaven when we moved to the country. I’m enjoying your blog.